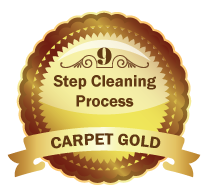 Our best and most complete package for your carpet cleaning needs, to preserve your carpet, and have a healthier living environment. Move couch, loveseat, and chairs in main living area. 1/2 Price at 6-Month cleaning option. Free Referral Rewards Membership. All work is 100% guaranteed. It is the most thorough cleaning ever or it’s FREE!! For a FREE estimate on carpet cleaning, upholstery cleaning, and interior textiles cleaning services throughout Kern County and the Bakersfield, CA area contact us online or call (661) 833-1168 today. Thanks for fitting us in on a tight schedule. The party went over without a hitch and everyone commented on our “new” flooring! The didn’t even know it was 12 years old! Ha! Clean Sweep is the best.